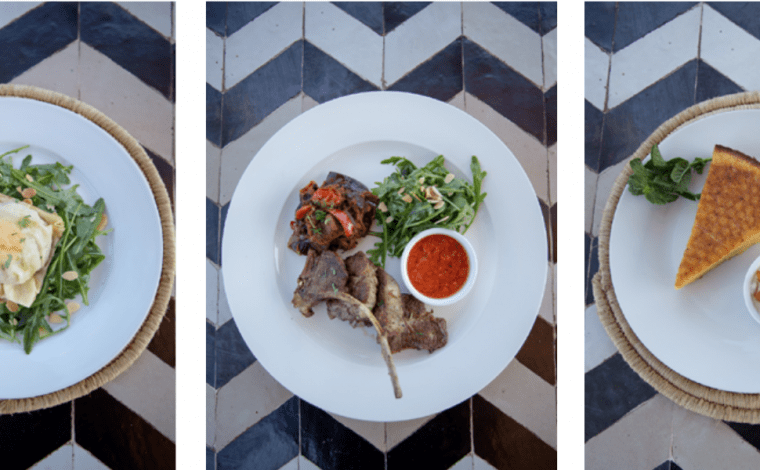 Back in Amsterdam, we can look back to a few wonderful experiences in certain restaurants and cafes at our time in Marrakech. With a few years of working experience in star-studded restaurants all over Europe (especially in France), it is always a pleasure for me to eat in Top Restaurants. I love to share my experience with others and sometimes give feedback to the restaurant owner or kitchen chef him/herself. 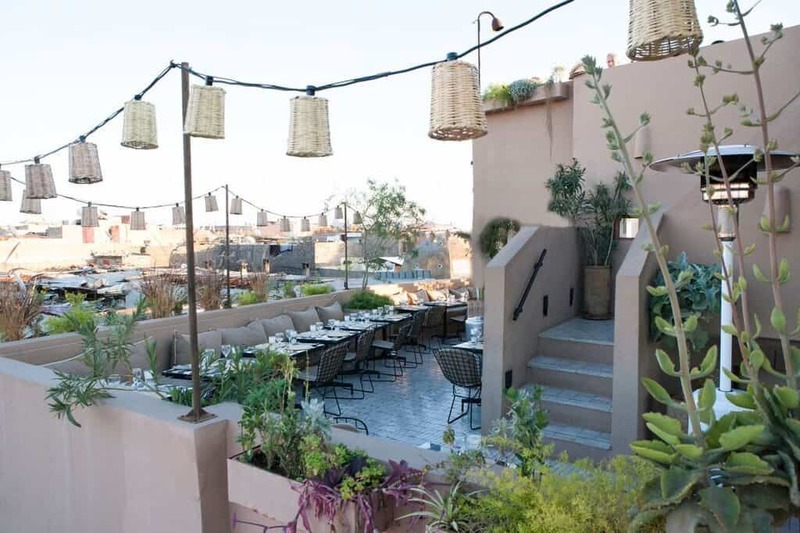 Starting with the best of the three, restaurant Nomade located in the middle of the famous medina of Marrakech. Tourists can get lost very easy if not well prepared. The good news is: everyone knows this Restaurant so just asking our way around helped us to find this cosy place. The first impression entering the rooftop terrace was overwhelming. We had the pleasure to get a table at the upper part of the rooftop with a view over the whole city and the little market nearby. The interior of the restaurant gives you the feeling to be at the right place. I would describe it as “modernArabic with class”. The waiters and waitresses are multilingual skilled and very courteous. The assortment and creativity of the starters are impressive, followed by just a few but in my mind enough main courses from fish over meat to vegetarian dishes. Everyone will find something on this wonderful menu. After a Vegetarian Tajine for Claire and the monkfish caught in Agadir with shaved courgettes, fennel, and a green harissa butter which was a revelation for my palate we decided to take a look at the dessert Menu. The selection of sweets is incredible, we wanted to order every single dish there but then we choose to order two different ones. The “Apple and Beetroot Clafoutis with Carbon Ice Cream and Red Fruit Coulis” for me & The Flourless Cardamom Ginger Orange cake with caramelised orange zest and fresh whipped cream” for Claire. Here comes the Boom !! This was by far the best dessert we had for long, and their homemade Icecream with varieties you won’t find anywhere else in Morocco is remarkable. 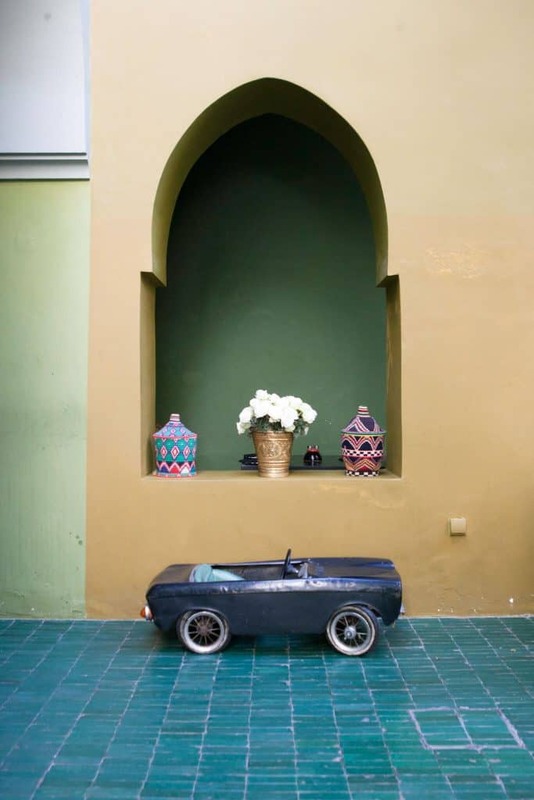 Located near the Ben Yousef Medersa and the Museum of Marrakech Le Jardin is ideally situated in the heart of the souks. At any time of the day, you can eat or enjoy a drink in a relaxing and verdant atmosphere. 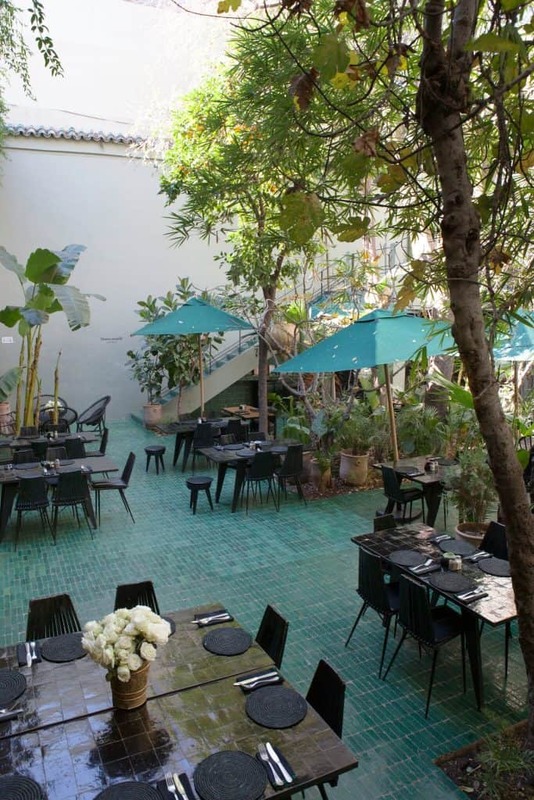 Le Jardins is build up like a Riad and the Restaurant takes place in a backyard which looks like the famous garden of Yves Saint Laurent, green and cozy. We had a short lunch with two traditional Tajines (Chicken and Veggie) but the kitchen is not cocking the basic tourist kitchen, it is more a fusion between the old Berber style of cooking (the Morrocan aborigines) and the modern Arabic kitchen. 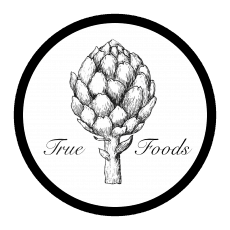 It is remarkable that the same owner as Nomad has created this Restaurant. 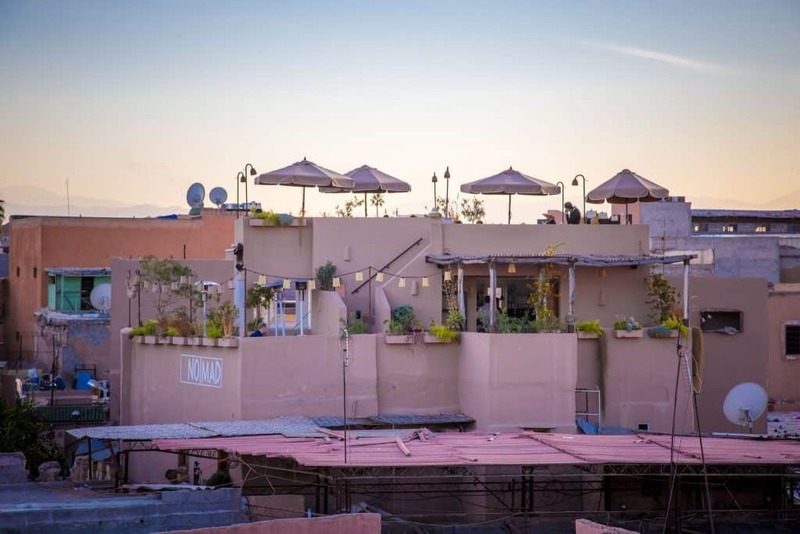 It is also a must visit in Marrakech and can be seen as the second best Restaurant in the City. 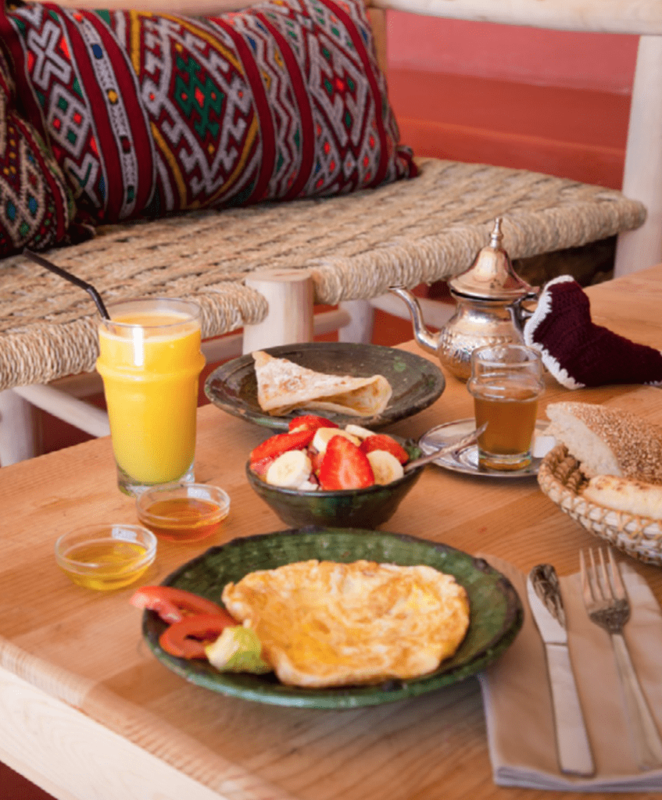 The perfect place for an original Morrocan breakfast is definitely the Café des épices located between the spice square and the Laghzel Souk (formerly the slave market). We had a table at the rooftop terrace with an incredible view over the famous Atlas Mountains where we enjoyed a late breakfast with all the typical Morrocan Day-starters like Msemen (a square flatbread made in a traditional way -> Recipe coming soon! ), farm fresh fruits, jam, and honey. Regarding the special view, I guess the same would apply for lunch and dinner over there as well. 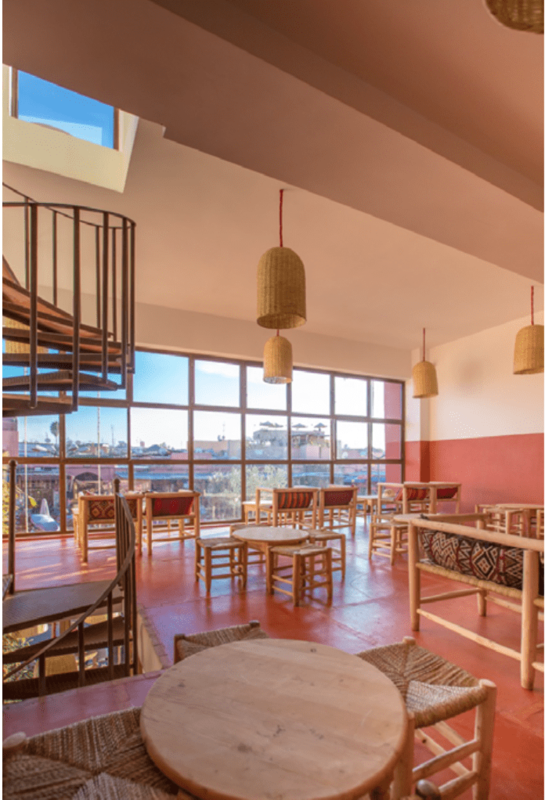 The Interior is really special, the owner told us that the colours and design should recreate the style of traditional Marrakech. Red Marrakesh ta Dela kt, rough wooden tables, suspended hammam buckets, woven reed furniture, and traditional so-called “beldi” glasses, everything has been designed to respect the authentic Medina.